Boy Scout Troop 617 in Columbia, Maryland, undertook building a Bevin’s Skiff to expose the Scouts to parts of a building project they would later face when doing their Eagle Scout projects. Working from an instruction manual provided with the kit from Alexandria Seaport Foundation, and some assistance from Mr. Crawford (ASF volunteer) and Skipper Laurie Davis (from Sea Scout Boat 361), the Scouts built the skiff in about 18 Saturdays. Interrupted by summer camp, school activities and monthly camp-outs, the total time was less than a year from start to launch. Some minor things still need to be done, and enhancements for safety and teaching are coming. Initial sails will be on the lakes around Columbia, Maryland, with other locations added as the troop’s experience increases. 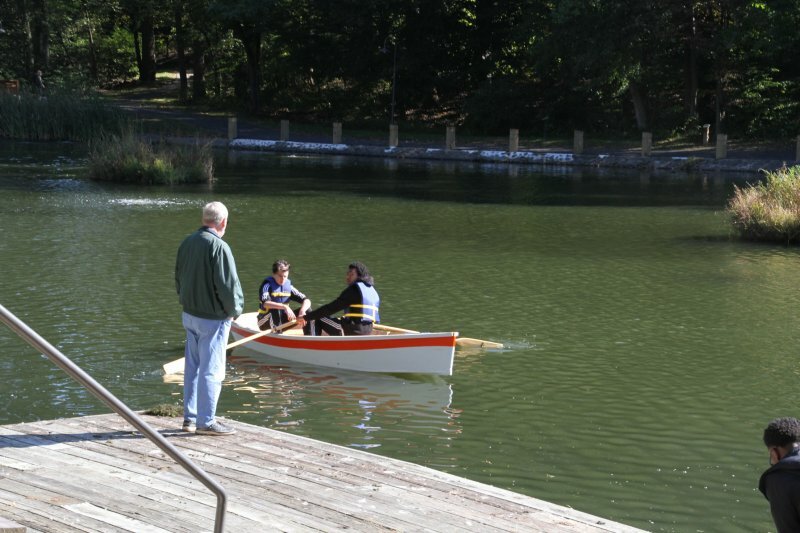 Merit badges for rowing, small boat sailing, and woodworking will be attempted by the Scouts. The goodwill the experience has engendered is priceless. Time-lapse videos of the build are on the troop’s website.